Keep your vehicles in great condition when you see Cartech Automotive & Transmission Repair for auto maintenance in San Antonio, TX. Backed by more than 30 years of experience, we have the tools, training, and commitment to resolve any auto issue. We specialize in car maintenance for foreign imports—more specifically from Asia and especially Japan. We're committed to honest and affordable auto services. Receive exclusive savings on essential repairs, and trust our pros to keep your car performing at a high level. 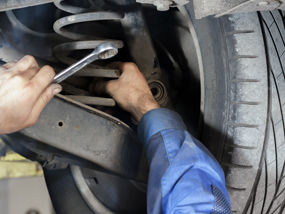 Contact us to schedule an appointment for auto maintenance. We proudly serve San Antonio, Texas, and the surrounding area, including Helotes, Leon Valley, Pipe Creek, and Bandera.